Adoption of 3D optical sensing is ramping up, and it’s not limited to just high-end smartphones. 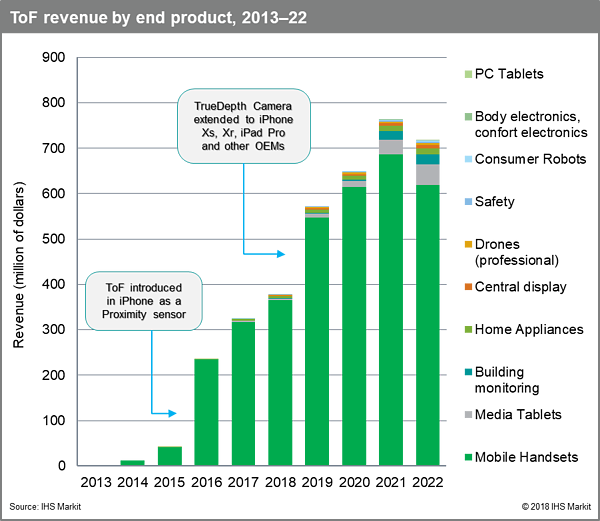 The 3D optical sensing market is once again surging – and it’s all thanks to Apple. What will we see in the next wave of end products enhanced by this technology, how will other market segments approach – and eventually use – 3D optical sensing, and which suppliers stand to gain the most from this very vital technology? Although 3D sensing, facial recognition and optical authentication systems have become only recently hot topics in the consumer electronics market, these mechanisms first made their appearance nearly a decade ago in November 2010. Following that debut, Microsoft soon launched the Kinect system in its Xbox 360 gaming console, marking a milestone as significant as Nintendo’s launch of its Nintendo Wii remote controller in 2010, which catapulted MEMS motion sensors into the high-volume consumer market. The Kinect system used a triangulation-based camera that Israeli developer PrimeSense Ltd. created and then licensed to Microsoft; Apple liked the technology so much that it acquired PrimeSense in 2013. The first version of Kinect applied the Structured Light (SL) method, a depth-sensing principle featuring an infrared (IR) laser projecting dots onto the scene, with a monochrome CMOS sensor measuring the differences in the acquired pattern. The second version of Kinect used the Time-of-Flight (ToF) principle. Kinect for Xbox360 was not only a successful consumer product; it also sparked a new market, thanks to the relatively low cost of the 3D sensing solution. By using the same hardware for Xbox 360 as in its first version of Kinect, Microsoft allowed developers to design their pet projects in the Kinect environment. Adding hand gestures controls to a PC, creating a user-controlled virtual dynamic light (see Kimchi and Chips’ demo), and developing an inexpensive hologram generator (see “Princess Leia” video from the MIT Media Lab) are just a few examples of ecosystem developers and DIYers applying their creativity to Kinect. 3D optical sensing has expanded from gaming consoles to the smartphone. In 2017 Apple presented its Face ID camera system for the iPhone X, which they launched to celebrate the 10-year anniversary of the iPhone. Face ID is the result of a longer term strategy for Apple, the byproduct of several company acquisitions to expand know-how in 3D sensing and augmented reality (AR)/virtual reality (VR). Between 2015 and 2018, Apple acquired the camera-module maker LinX (2015), the AR startup Vrvana and the imaging sensor firm InVisage Tech (both in 2017), and AR glasses designer Akonia Holographics (2018). For a company that has always innovated on its own terms, Apple’s idiosyncratic approach called for deployment of the Structured Light method combined with a ToF device. The result is an amalgamation that utilizes the best features of the two mechanisms, even if the combination is one that is expensive. Apple’s addition of a near-infrared illuminator to its ToF device enhances the system’s effectiveness under most light conditions while also improving the reliability of Face ID; the overall outcome is a more satisfying user experience. The ToF component, which STMicrolectronics supplies, makes use of so-called single-photon avalanche diode (SPAD) receivers that can work with any target material and color, although a higher target illumination is required to obtain good accuracy. The other core components of the Face ID system are the Vertical Cavity Surface Emitting Laser (VCSEL, from Lumentum) and a dot projector (from ams/Heptagon), assembled together in an optical package. 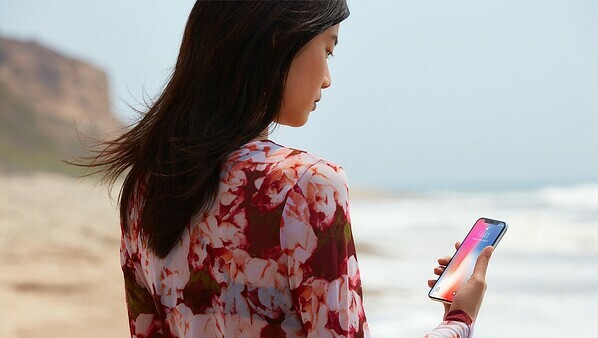 Apple’s expensive but reliable approach explains the company’s inclusion of the Face ID system in its latest smartphone and tablet offerings – across the iPhone Xs, Xs Pro and Xr as well as in the latest iPad Pro models. Apple’s Face ID uses facial recognition for authentication on a range of iPhone and iPad Pro models. Image courtesy of Apple. Meanwhile, other mobile handset manufacturers are rumored to be working on Face ID-like systems or have already presented similar solutions, albeit through a variety of approaches. Some have chosen to use standard ToF devices while others have adopted an SL tactic. In many of these designs, which happen to target Android systems, OEMs generally include a fingerprint sensor as a fallback biometric option to their own nascent 3D facial recognition systems. The fingerprint sensor operates in either standalone mode or integrates into the display. Chinese handset maker Oppo, for instance, uses the SL method on its Find X model with algorithms coming from Megvii. Oppo claims its equivalent of Apple Face ID is faster. I have heard that Vivo has been working on a ToF camera since mid-2018, which it claims provides greater accuracy and security in end-applications such as secure payments and unlocking the phone. Chinese technology giant Huawei’s first 3D facial sensor appeared in its Mate 20 Pro flagship mobile phone. Aside from providing facial biometrics, the front-facing 3D sensor doubles as a 3D scanner, enabling users to digitize live objects that they can then manipulate in 3D AR applications. While still a novelty, the application highlights the use of 3D light sensors beyond that of biometrics. Xiaomi’s Mi Explorer Edition smartphone features a complex SL 3D module to enable 3D facial scanning although it looks like a clone of the Apple solution. Overall, the importance of facial recognition is no longer a matter of dispute, given that Apple’s rivals are now developing counterpart offerings of their own. Leaked code from the next revision of the Android operating system (revision Q), now under development by Google, has confirmed as much. IHS Markit forecasts that global revenue for ToF sensors in the 3D optical sensing market will surpass $500 million in 2019, up from $370 million last year. We also predict that the ToF market will grow in the coming years, spurred by combo solutions integrated with other light sensors in the same package. This will lead to a cheaper bill of materials (BOM) compared to the BOM for the SL method. At the same time, IHS Markit forecasts that the total market potential for light sensors will be worth much more, reaching $1.5 billion by year 2022. That’s because after a solid start with gaming consoles, 3D sensing has matured and consolidated in the massive smartphone arena. A segment of 3D sensing’s future growth will come from other use cases and applications that are emerging outside consumer electronics and mobile. These include people-counting and -tracking in consumer and industrial applications, landing-aid and obstacle-avoidance functions in drones, and car-trunk (boot) opening with foot gestures, as well as gesture recognition and passenger detection in automotive. IHS Markit predicts steady growth for ToF and other light sensors. All told, the ToF approach appears to have a greater chance than the SL method in gaining a larger market share, leading to a cheaper and smaller BOM along with reduced integration costs in system assembly and calibration. Sometime this year, Apple and other handset OEMs may include a ToF-based 3D camera on the back of the iPhone to support more immersive gaming experiences and new AR/VR applications. This will further boost the 3D sensing market. To be sure, other mature technologies are available as valid alternatives to optical 3D sensing, including ultrasonic, mmWave and radar. These alternative technologies may gain part of the total market now commanded by 3D sensing, in use cases such as obstacle-avoidance or in-cabin presence detection. Manuel Tagliavini is a principal research analyst covering MEMS and sensors at IHS Markit, and a contributing writer for SEMI.